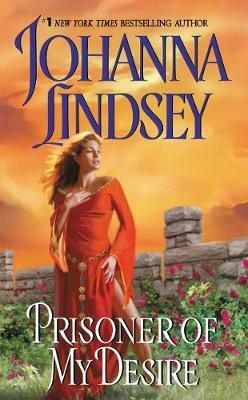 Destined to be yet another bestseller from the inimitable Johanna Lindsey. Spirited Rowena Belleme must produce an heir - or incur the dangerous wrath of a ruthless stepbrother who stands to forfeit his ill-gotten wealth. And the magnificent Warrick deChaville is the perfect choice to sire her child - though it means imprisoning the handsome knight and forcing him to bend to her amorous whims. Vowing to resist but betrayed by his virility, noble Warrick is intoxicated by Rowena's sapphire eyes and voluptuous beauty. Yet all the while he plans a fitting revenge - eagerly awaiting the time when his sensuous captor becomes his helpless captive. . .and is made to suffer the same rapturous torment and exquisite ecstasy that he himself has endured.